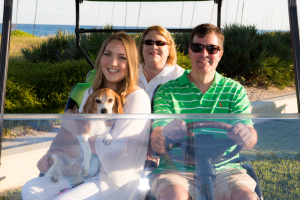 Cindi and David Freeburn, the founders of Exhilaride (Street Legal) Golf Cart Rentals are full time residents of Delray Beach, FL. David is an avid tennis player and enjoys the excellent facilities available. Cindi loves the weather, urban setting and top rated beaches. They both volunteer through various organizations to “give back” to the community. Their goals are to enhance the live-work-play motto in Delray, to “give back” to the community with a business that is environmentally friendly, and to add an element of fun for visitors and residents alike. 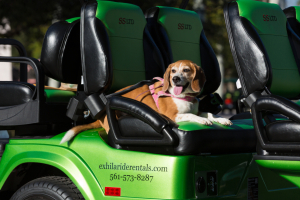 Exhilaride Street Legal Golf Cart Rentals is one of the top things to do while in Delray and Palm Beach County. In addition to being “green” (electric) the carts seat up to 6 passengers, take up less parking space, and are a quiet and connected way to go touring.